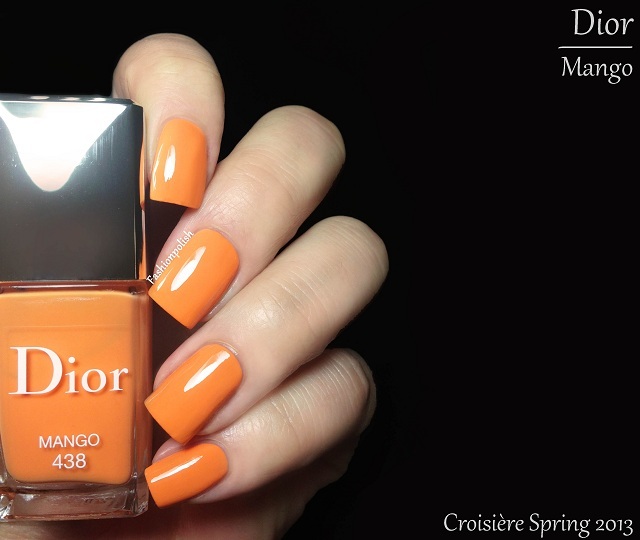 Fashion Polish: Dior Cruise for Spring 2013 : Mango, Pastèque and Lime! 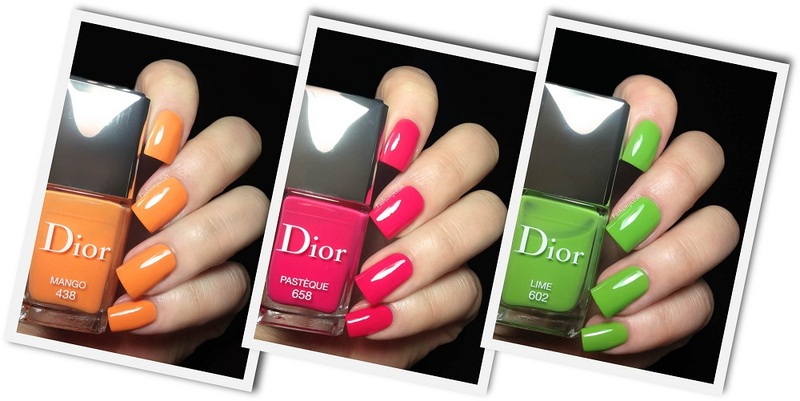 Dior Cruise for Spring 2013 : Mango, Pastèque and Lime! It's only early November but are you as ready as I am for a little peek into the next Spring collections? 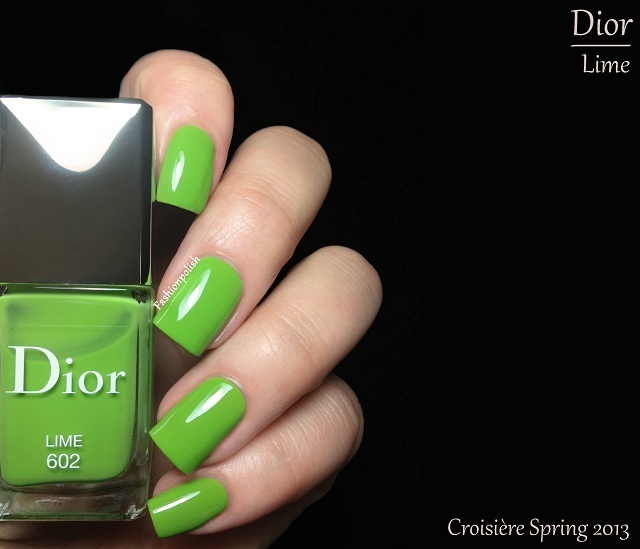 Dior is releasing a fresh, juicy collection with 3 extremely glossy and succulent bright shades! 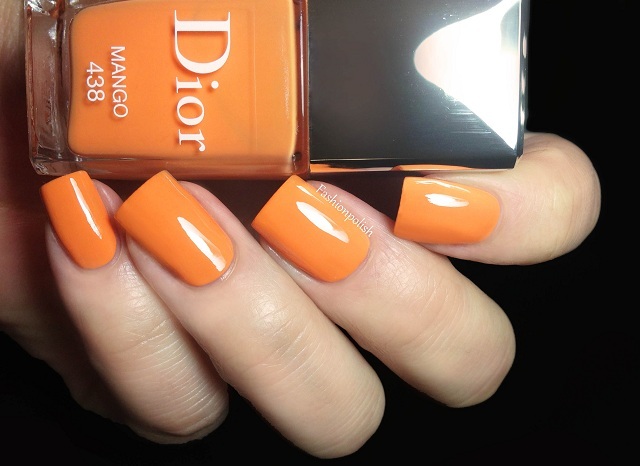 Mango is a bright yellow based orange creme. I love how fresh and juicy it looks, it definitely reminds me of ripe mango! Formula was nice and self leveling but lacked opacity and I had to apply a third coat to achieve full coverage. This is 3 coats plus topcoat. 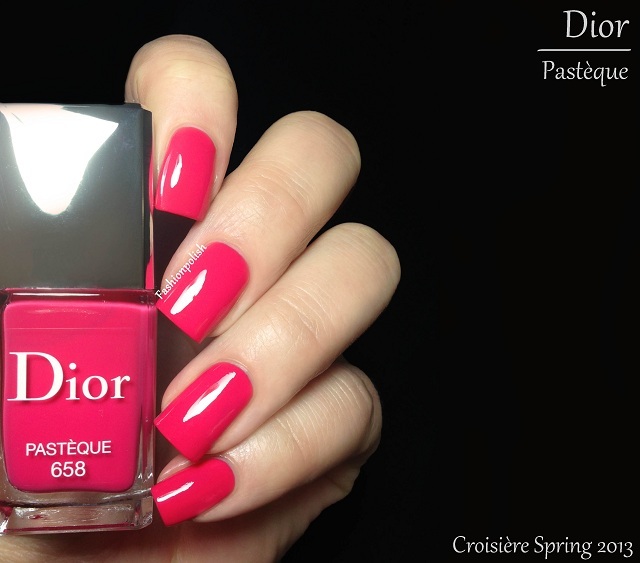 Pastèque is a vivid pink with a strong coral tint. 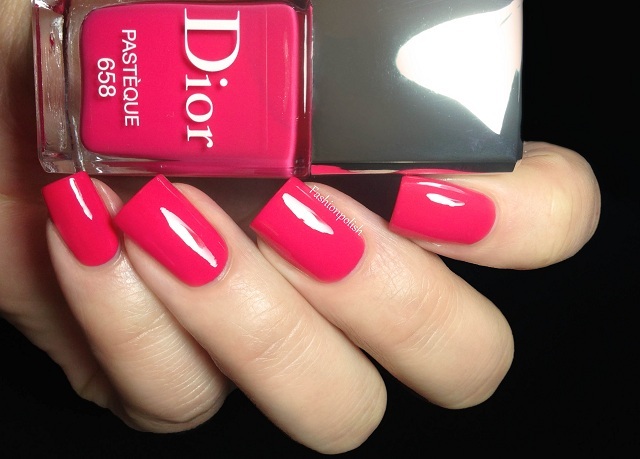 I'm not sure it's a 100% match to watermelon but I think this is my favorite kind of pink. Ever. It was the most opaque and applied perfectly in 2 coats. You're looking at 2 coats plus topcoat. 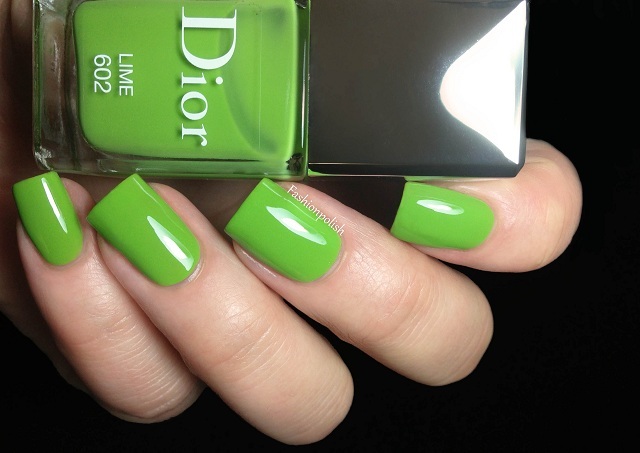 Lime is the star of this collection : a bright yellow based green you will not keep your eyes off! I don't think I've seen a glowing green I've loved this much in a long time. I also had to apply 3 coats for swatching purposes due to minor leveling issues not playing well with macro pics but I would definitely have settled for 2 in real life. This is 3 coats plus topcoat. I'm in love with this entire collection and I don't mind one bit the early release, on the contrary actually! I purchased my set directly from Dior.com. ($23 / 21.70€ each for 10ml / 0.33fl.oz) and I can only recommend them. What do you think about these? Is it too early for you to enjoy Spring collections?